If there’s one thing we’ve learned about Coachella, it’s that it is as much about fashion as it is about music. The festival has become quite the sartorial playground for celebrities, models, and fashionistas from all over the world. This year, we’ve seen an array of maxi dresses, denim cutoffs, fedora hats, statement shirts, eclectic prints, sunnies, flower crowns, flat sandals, sneakers, cowboy boots, flesh-baring outfits, and even bindis. Ashley Greene was spotted wearing a blush-colored tank dress from Free People, which features crochet cutout details, a low back, and a hi-low hem. She styled it with a black shoulder bag, dark sunglasses, and Western-style ankle boots from Isabel Marant. 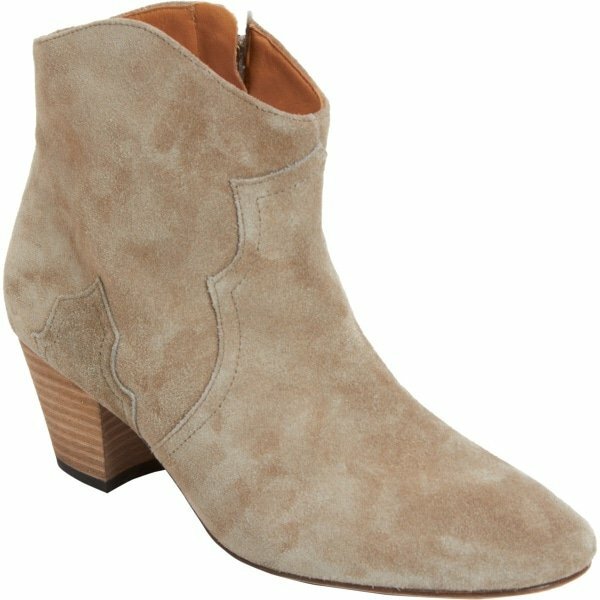 The ‘Twilight’ star wore the Isabel Marant “Dicker” ankle boots, which feature taupe suede, round toes, hidden side zips, and stacked block heels. 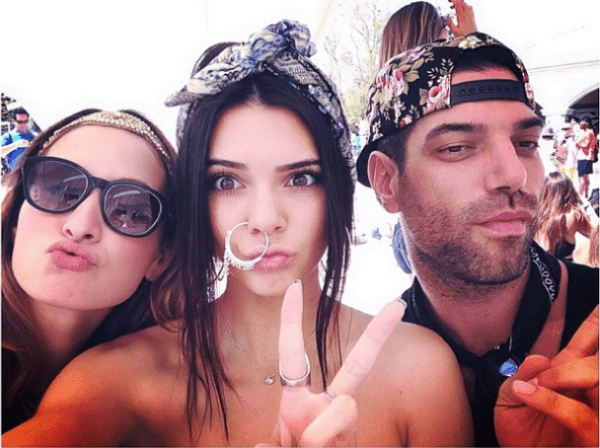 Kendall Jenner shared a photo on Twitter that showed her having a blast on the first day at Coachella. The 18-year-old reality star and model was seen wearing an outfit from Free People, which consisted of an embroidered cami paired with high-rise denim shorts. She styled her look with a chainlink collar necklace and a chain belt from Free People, a leather crossbody bag from Michael Kors, and cowboy boots from Dingo. 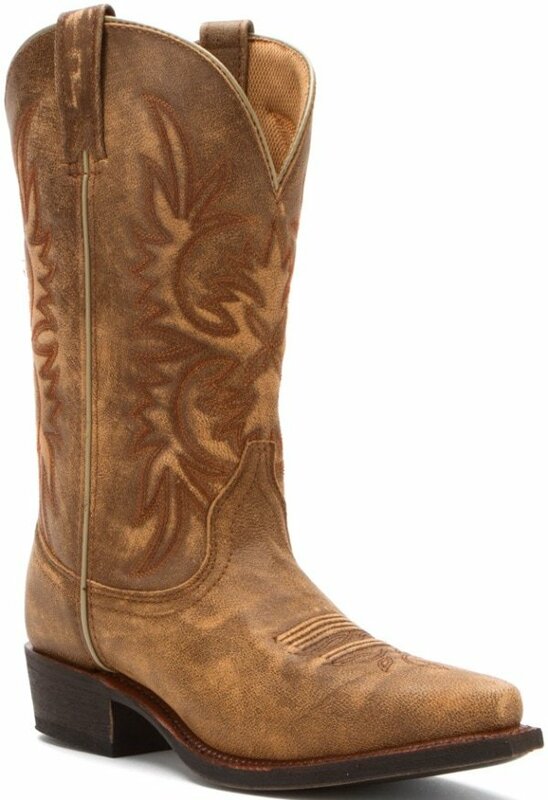 The ‘Keeping Up with the Kardashians’ star wore the “Wildwood” cowboy boots from Dingo, which feature patterned shafts and cracked goat leather. Vanessa Hudgens debuted her “mermaid hair” on the first day of the festival. The ‘Spring Breakers’ star shared a photo on Instagram that showed off her new blond tresses. In the above photo, Vanessa was seen wearing a leopard-print bikini top and a pair of cutoff shorts from One Teaspoon. She finished her look with a floppy hat and a large belt with circular links that matched her dangling earrings. Although she was wearing flat sandals in the picture, Vanessa was spotted walking barefoot while strolling through the festival grounds with boyfriend Austin Butler. Kate Bosworth and Michael Polish were inseparable on day 2 of the Coachella Music and Arts Festival. The 31-year-old actress roamed the festival grounds in head-to-toe Carven, while her husband was clad in jeans and a Levi’s shirt. This year, Kate opted for a black romper with crossover cutout details and floral prints from Carven’s Spring 2014 collection. Her hair was styled in a topknot, and she finished off her look with aviator shades from Rayban, a black choker, a cuff from Giles & Brother, and chunky black flatforms. Hilary Duff was spotted enjoying day 2 of the festival with ex-husband Mike Comrie, which sparked reconciliation rumors. The 26-year-old actress wore a sleeveless top paired with distressed boyfriend shorts from Rag & Bone. She finished off her look with dark sunglasses, a silk patchwork logo scarf from Alexander McQueen, a studded leather clutch from Miu Miu, and ankle boots from Rag & Bone. 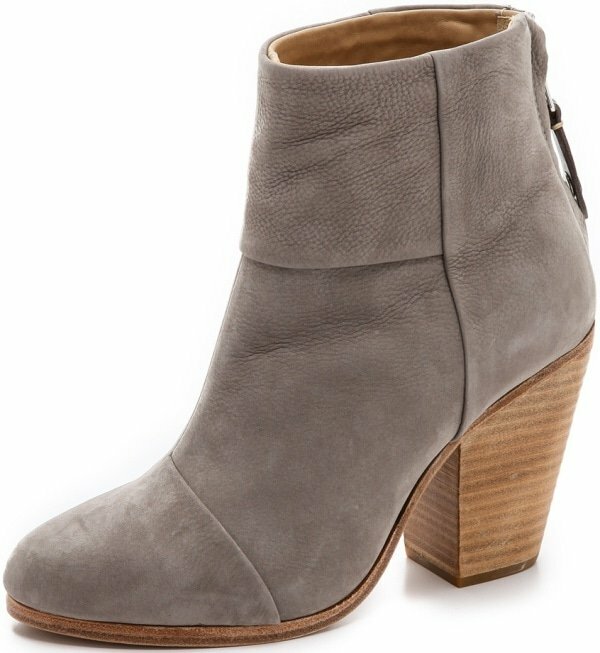 Hilary wore a pair of the classic “Newbury” ankle booties from Rag & Bone, which feature gray nubuck leather, rear zips, and stacked heels. Alessandra Ambrosio showed off her enviable figure and impressive festival style at Coachella this year. She was a walking advertisement for her latest fashion line, ále by Alessandra, as she was seen wearing her own creations during the festival. The stunning supermodel wore the “Indio” bustier, which features thin spaghetti straps, slightly padded cups, and eclectic embroidery. She paired it with matching high-waisted shorts, which she styled with a wide belt and a jacket tied around her waist. Alessandra wore an assortment of rings and necklaces, and she put the finishing touches to her look with dark sunglasses, a red bandanna tied around her hair, and a dark brown cowboy boots. Kendall Jenner opted for a vampy look in an all-black ensemble on the second day of the festival. She wore a dramatic lace gown over a bandeau and frill-lined shorts. Her hair fell in soft waves down her shoulders, and she finished off her look with pale blue nails, a layer of necklaces, a bindi, and flat sandals with beaded embellishments. Kylie Jenner continued the all-black theme as she joined her sister on the second day of Coachella. She wore a two-piece outfit from Milk the Goat that consisted of a strapless crop top, which was adorned with baby doll lace at the hem, and matching black lace shorts with baby doll trim. The 16-year-old reality star went all out with her accessories to style her dramatic outfit. She wore a layer of necklaces, a studded fanny pack, mint green cat-eye sunglasses from Wildfox, a goth-inspired flower crown adorned with black paper roses from Nasty Gal, and black lace-up boots from Steve Madden. 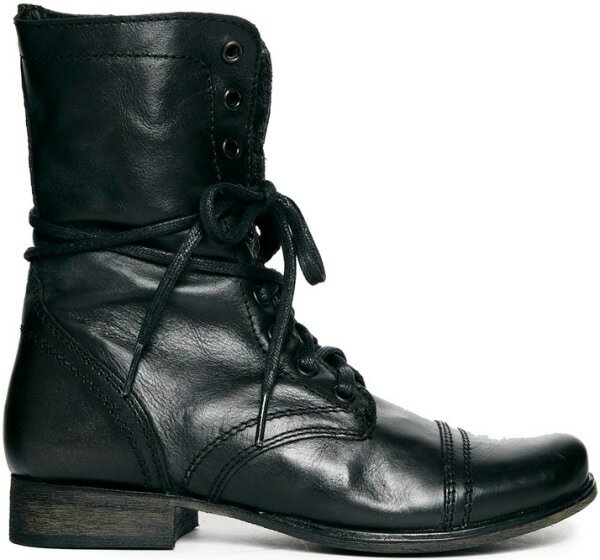 Kylie wore the “Troopa” lace-up boots in black from Steve Madden, which feature round toes, low heels, tipped soles, and a matte finish. Vanessa Hudgens shared a couple of photos on Instagram that showed her wearing a printed kaftan from Camilla on the second day of the festival. She showed up at McDonald’s & Stingray Desert Pool Party on Saturday afternoon in her bohemian look, which she styled with cascading waves and a bindi. 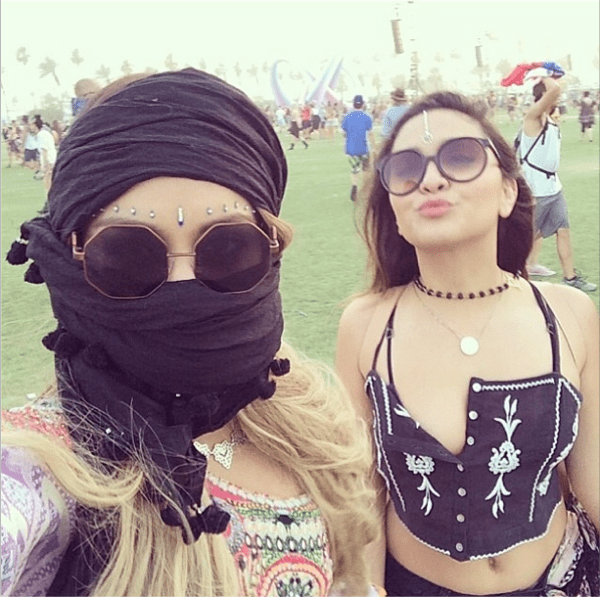 Later that day, she and sister Stella Hudgens braved a sandstorm at Coachella. Vanessa covered her face with a black scarf to stay safe while enjoying the rest of the festival. Camilla Belle opted for stylish comfort on day 3 of the popular music and arts festival held in Indio, California. She looked pretty in a white muscle tee from Lauren Moshi, which features a cool graphic of a lion’s head wearing colored sunglasses. The 27-year-old actress paired it with white shorts and capped off her look with dark sunnies, an assortment of rings and bracelets, and flat sandals from Tory Burch. 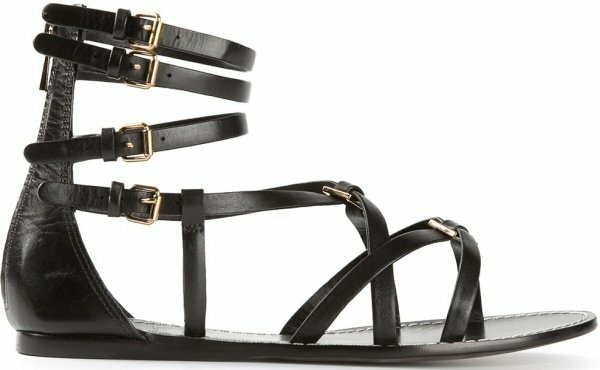 Camilla wore the “Dandal” sandals from Tory Burch, which feature multiple straps, side buckle fastening, crossover straps, and calf leather. 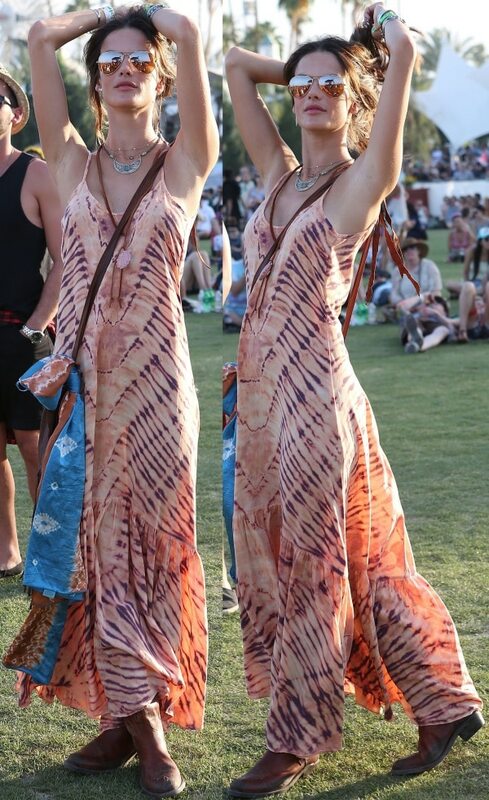 Boho babe Alessandra Ambrosio looked stunning on the second day of the festival in a maxi dress of her own creation. The supermodel wore the “Caravan” maxi dress from ále by Alessandra, which features a tie-dye pattern, a tiered hem, and a fitted silhouette. She styled it with dark sunnies, a layer of necklaces, and the same dark brown cowboy boots that she wore the day before. Emma Roberts was dressed comfortably in a casual-cool ensemble that consisted of a white sleeveless top tucked into a pair of distressed denim shorts. She kept her hair and makeup simple, and she finished off her look with round sunglasses, a black shoulder bag, and a comfortable pair of black sneakers. The 23-year-old actress stayed close to beau Evan Peters, who was also dressed casually in a white shirt, denim shorts from Levi’s, dark sunglasses, and red sneakers. Vanessa Hudgens was clad in her boho best on day 3 of the festival. 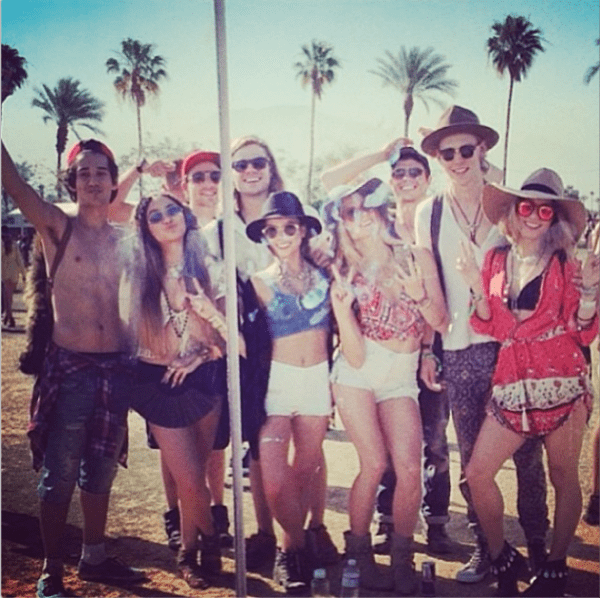 She shared a photo on Instagram that showed her enjoying the last day of Coachella’s first weekend with boyfriend Austin Butler and a group of friends. In the above photo, Vanessa was seen wearing a red printed playsuit with a drawstring waist and roll-tabbed leg openings from Spell & The Gypsy Collective. She finished her look with a wide-brimmed hat, sunglasses in candy red from Wildfox, a black fringed backpack from Cleobella, and a pair of black ankle boots. 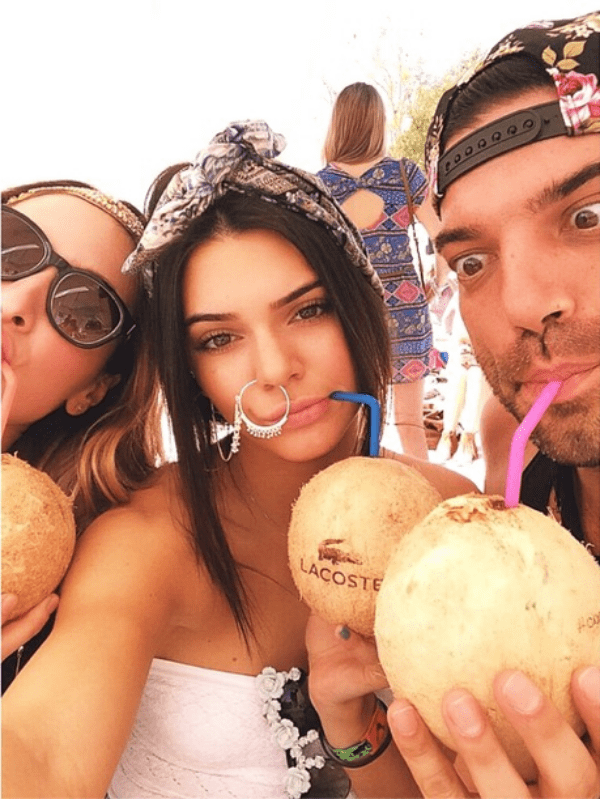 Kendall Jenner made headlines when she posted several photos on Instagram that showed her wearing a giant nose ring while hanging out with friends at the Lacoste Beautiful Desert Pool Party. The first photo shows her eating a popsicle by the pool with her friend, Scotty Cunha, and has the caption, “it’s his BIRTHDAY!!! woohoo! love you boooo @thescottycunha.” In the next images, Kendall is shown taking selfies with her friends while holding a peace sign on one and drinking coconut water on the other. Later that day, she was spotted roaming around the festival grounds in a white tube top, high-rise cutoff shorts, white Converse Chuck Taylor All Star sneakers, and sunglasses adorned with blue porcelain flowers from Gasoline Glamour. What do you think of the festival fashion on the first weekend of this year’s Coachella? Whose style do you like best? Feel free to let us know in the comments section below.